Ever feel like you’re not an athlete, you’re just a specialist in a certain form of movement? Most local athletes we know do one thing really well, but if you take them outside of their proverbial movement “comfort zone”, they simply can’t hang. Forcing your body to do the same thing over and over again, day after day, is a recipe for burn-out, injury, overtraining, and muscle imbalance. If this is you, you are a movement specialist. Let's instead make you a complete athlete. 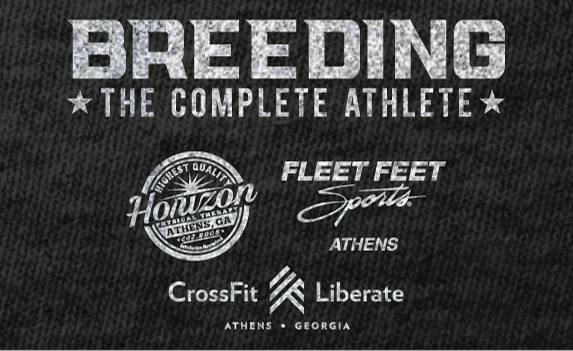 Horizon Physical Therapy, Fleet Feet Sports Athens, and CrossFit Liberate have combined forces and set our sights on breeding the complete athlete. Wanna learn how? Come to our seminar on Thursday, April 19, at CrossFit Liberate from 6:00pm-8:30pm to learn about becoming a complete athlete. Hear seminars on the benefits of strength training for runners, proper running form, proper footwear or orthotic devices for running and CrossFit, attend a group CrossFit class, go on a group run, and hang around for a social afterward. Sign up via the ticketing link above! The Gut Check is coming.... will you be ready?